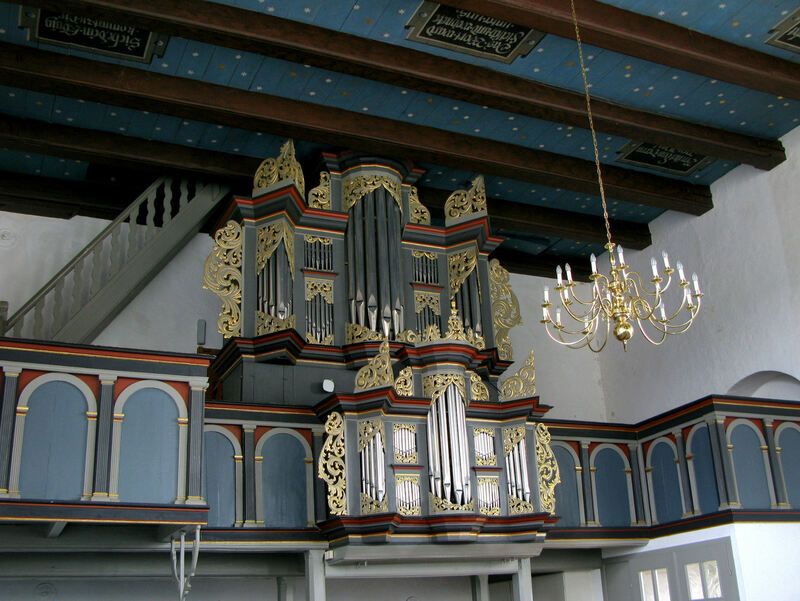 1705: New organ by Arp Schnitger. 1719/1720: The organ was moved to the newly built church by Joachim Kayser and Johann Caspar Kahrling. 1757: Repairs by Johann Caspar Struve. 1763, 1770/71, 1809: Repairs by Hinrich Just Müller. 1842/43: Repairs by J.G. Schmid. 1914: New organ in the old case by J.M. Schmid.